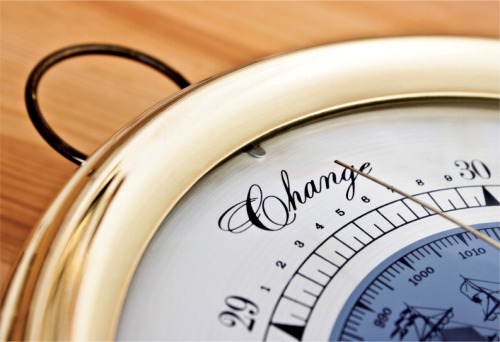 Time for a change in investment strategy? This article excerpt is taken from the July/August issue of Renewable Energy Focus magazine. To register to receive a digital copy click here. The scale of the opportunity in resource efficiency is immense. The key drivers are different to the energy generation market in that they are typically less reliant on direct financial subsidy (and hence less exposed to political risk) and more based upon pure cost/benefit considerations. Government regulation has an important role to play in some areas – for example, landfill tax and emissions reduction mandates – but the long term cost of fossil energy (whether oil, gas or coal) is the prime motivator. The impact of energy prices is felt across all areas of industry that produce or consume raw materials whose manufacture requires significant energy consumption and, hence, creates a huge market for efficiency technologies and alternative materials. Similarly, in the water sector, increasingly tight regulation creates ever-greater costs associated with clean-up and re-use. Companies seeking a competitive advantage are increasingly looking to more efficient and lower-cost supply chains, as well as minimising the cost of waste through recycling and/or conversion to energy. This is fundamentally about commercial considerations albeit reinforced by the influence of corporate social responsibility (CSR). The range of solutions is very broad and includes the intersection of cleantech and information technology (the ‘greenweb’) that is now many investors' preferred way to gain exposure to the clean energy sector because of the lower capital intensity of the relevant business models. The water sector has multiple drivers for resource efficiency, in that water itself is a precious and increasingly expensive commodity and water utilities are large energy consumers, particularly as regards the processing and treatment of waste water. Technologies that can address one or both of these needs have a global market, albeit one that is historically not known for a culture of innovation. Two examples of very different approaches to this market are LCIF portfolio companies, Bactest and Syrinix. Bactest has developed a platform technology for the detection of bacterial contamination in clean and waste water that can be deployed in a portable device and, in the longer term, in situ in waste water treatment plants. The advantages of the process are its flexibility and speed of detection, which is substantially shorter than existing laboratory-based equipment. The portable device can be used by non -specialist staff to test for microbial activity in anything from potable water tanks at music concerts to newly-installed pumps in a utility's clean water mains. The in situ device is aimed at achieving real-time monitoring of waste water, such that utilities can precisely control the aeration of activated sludge and significantly reduce energy consumption. Syrinix supplies sensing and signal processing systems to utilities to allow detection of leakage in water trunk mains. Using data aggregation, the product provides an early warning and facilitates rapid intervention by the utility before the problem becomes critical. As well as the obvious benefits of extending the life of installed assets and reducing water losses, there are savings to be obtained through eliminating unnecessary pipeline maintenance. Both Bactest and Syrinix combine sophisticated physical hardware with software to produce advanced solutions for the water industry that do not require large new capital investments. In many cases, they can be deployed in parallel with existing equipment and processes to provide information in a faster and more actionable form. They do not require significant regulatory approvals or involve utilities fundamentally changing their current operational protocols. Both offer clear cost benefits and returns on investment without being disruptive to an industry which does not value that particular quality. ‘Big data’ is another example of a ‘non -invasive’ technology that can assist utilities, in the power sector in the first instance, to generate value. In this case, sophisticated analytical techniques can be applied to data generated from smart meters and other sources in order to allow utilities to respond more effectively to real-time changes in demand and/or to influence consumer behaviour in order to change demand profiles and implement energy efficiency measures. This can also allow the creation of ‘virtual power plants’ by smoothing out peaks in demand to increase the overall utilisation of existing generation assets and reduce the need for new builds. Investors coming from the software world instinctively feel more comfortable with this type of business model compared with financing capital-intensive energy infrastructure. Particularly interesting are technologies like those being developed by ONZO which use proprietary algorithms to identify electricity consumption of individual electrical devices from a single sensor (or smart meter) that monitors aggregate energy usage within the home. This use of high resolution data assists both utilities and consumers to identify energy efficiency measures that have sensible paybacks (such as replacing inefficient domestic appliances and altering energy use patterns to make use of cheaper, off-peak supply). Heating and cooling of buildings is an area ripe for energy saving, although the different financial interests of owners and tenants often act as a barrier to investing in some of the more obvious solutions for existing building stock (such as replacing old HVAC systems with more efficient units). New build, however, offers the opportunity to optimise energy consumption through intelligent design, both in terms of renewable on-site energy generation and efficiency measures. One example of the latter is Breathing Buildings, whose ventilation design technology allows more efficient mixing of outgoing hot air and incoming cool air in order to reduce energy consumption and improve air quality. Savings can be quantified to establish a clear commercial case for adoption in preference to traditional systems. Lighting is another large energy consumer in the building sector, where LEDs are now gaining market traction in a variety of applications. While the LED lamp itself may well become a commodity product over time, there are a range of interesting technologies relating to the surrounding electrical systems which represent a large proportion of the total cost of ownership. Companies such as iSotera produce LED-based lighting systems with innovative power distribution and control architecture that have a much lower installation cost and higher efficiency than standard systems. The product is designed to appeal to electrical contractors by making the installation process much easier, faster and less wasteful. In part 3 out soon - Sustainable Materials/Manufacturing; Waste; Future of Cleantech and Renewables. Turquoise International is a merchant bank specialising in Energy and the Environment. Established in 2002, it is active in corporate finance advisory, including fundraising and M&A, as well as venture capital investments through the Low Carbon Innovation Fund (LCIF) and Turquoise Capital. About: Ian Thomas is a managing director of Turquoise International, a London-based merchant bank specialising in Energy and Environment. Excellent. Very informative on Solar and Wind and beyond.